James Bond - The Secret Agent: How much is actually the Domino letter worth? If you are reading this the chance is quite big that, even if you are a James Bond fan, you have never heard about the rare Domino letter. So let me break down quickly for you what the Domino letter is. 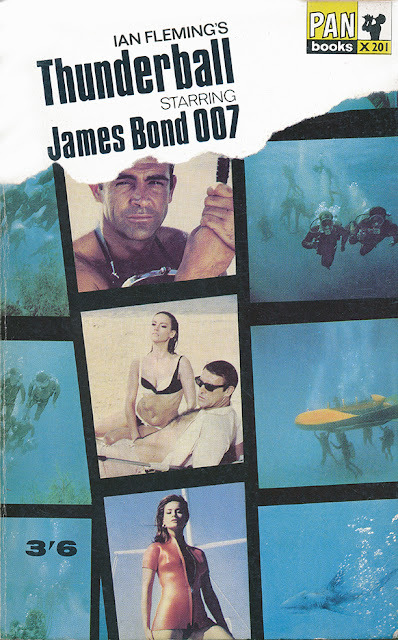 Back in 1965 when the forth James Bond film staring Sean Connery was released, Pan Books re-released the novel THUNDERBALL for the fourteenth time in a movie tie-in version (cover below). In that edition (and only that edition) there was a printed promotional notepaper added. 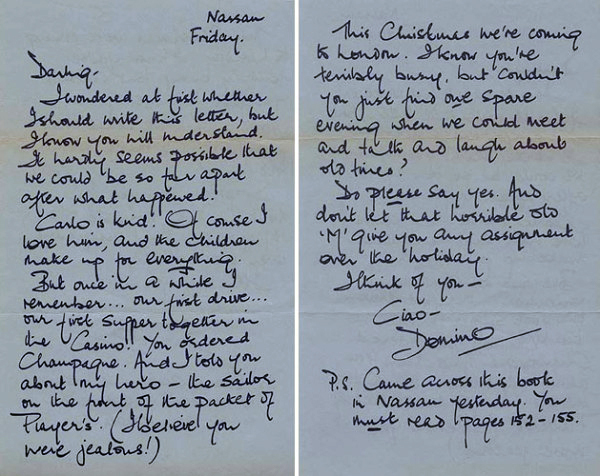 It was made to look like a handwritten letter from Domino to James Bond. In the letter she is asking Bond to read pages 152-155 within the book the letter came with. On these pages in THUNDERBALL the Players Cigarettes are mentioned and they were also the company that used the THUNDERBALL novel for advertising. A lot like modern day product placement. 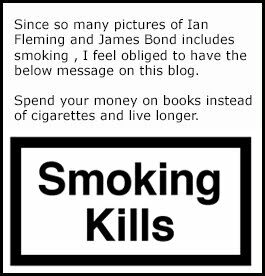 I am sure that Ian Fleming himself never got paid for this while writing his book and therefore the idea came up after his passing in 1964. Most readers certainly threw this peace of paper away but some owners kept it. 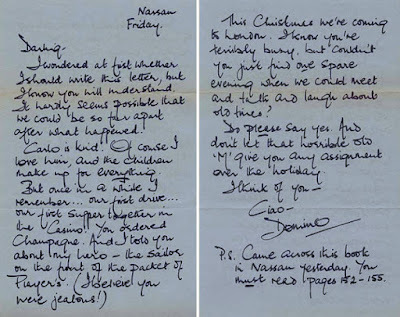 Some books might never have gotten read and therefore the letter is still there. People who own this advertisement claim it to be worth quite a bit. A seller on Ebay says he wants $350 for it but excepts offer. There are also fake versions of the letter on the market and these sell for as little as £2. I myself do not have this letter in my collection but I was bidding on one today. The funny thing is that I was one of only two people who placed bids during the last hour. When I decided to bid it was at £62 and I bided up to £99 and stopped and lost the bidding to someone else who paid £101. It is funny how we value our collections. One would think that such a rare piece of early marketing material would be as valuable as the sellers says but it is not often a bidding war on stuff like this happen. Most of the James Bond collectors would rather have other James Bond collectables in their collection. We are not many who wish to pay a lot of money for these kind of things and the market tell us what the current value is. I would say that the value for a Domino letter on the market is currently £101. Do you think I am right or wrong? Would you have paid £101 for the below peace of paper? Happy to read your comments below. If you wish to learn more about the Domino letter I suggest you head over to this site.